Andrew Papastephanou, the designer and operator of Sean Callery’s studio complex in Los Angeles. Pictured L-R: Alexander Bornstein and Christopher Lennertz, pictured at Sonic Fuel Studios. Composer Christopher Lennertz, pictured at Sonic Fuel Studios. Los Angeles, CA, November 19, 2015 – Digital audio networking is rapidly becoming the new normal for signal path and workflow, and two brands in particular are at the forefront of this seismic shift in pro audio methodology: Audinate’s Dante™ networking protocol and Focusrite’s RedNet series of audio-over-IP interfaces (the pathway of choice onto the Dante highway). That strategy — RedNet as the on-ramp to Dante — has become the choice for leaders in any number of industry sectors, notably including the world of sound for film and television. Sean Callery is best known as the composer for the TV action drama 24, as well as hit programs La Femme Nikita, Bones and Homeland, and most recently this season’s new breakout hit on Fox, Minority Report. 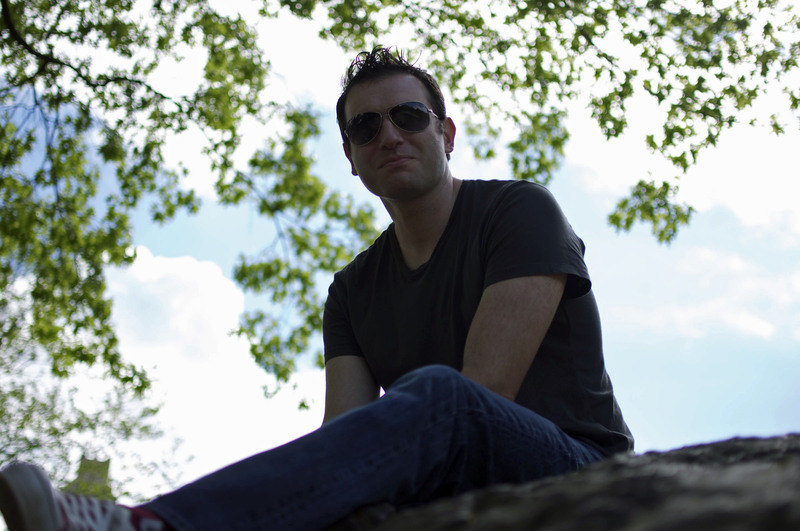 He will also be composing for Marvel’s upcoming Netflix original, Jessica Jones. Callery’s two-room studio complex in Los Angeles is designed and maintained by Andrew and Chris Papastephanou, who individually and collectively as consultants have dozens of leading studios and producers as clients for their studio-technology integration services. Their implementation of RedNet at Callery’s studio reflects what Andrew Papastephanou says is a rapidly gaining trend in studio workflow. “This is where it’s going — networked audio,” he says, “and Dante is the way everyone seems to be going. And RedNet is an excellent interface for Dante.” For Callery’s studios, Papastephanou implemented a RedNet 5 unit for each of the interfaces for the studio’s Pro Tools HDX2 systems (up to six units can be connected to one Pro Tools HDX3 system, supporting up to 192 channels at 96 kHz); one RedNet 4, which brings eight of Focusrite’s remotely-controlled Mic Pre Amps/line inputs through a single Ethernet cable; and two RedNet PCIe cards that deliver up to 128 channels I/O with ultra-professional latency. At Sonic Fuel Studios, award-winning composer Christopher Lennertz’s production facility located in El Segundo, California, all of its gear connects with RedNet, increasing efficiency and flexibility while future-proofing the setup. Lennertz, who’s known for his work on film comedies like Ride Along and Horrible Bosses, and television series Supernatural and Revolution, collaborates with as many as nine composer colleagues in the 7,000-square-foot studio space. Working with assistant Alexander Bornstein and the rest of their team, the studio implemented a network of RedNet devices, bringing the efficiency of Dante to the facility. Based on a recommendation from Rich Avrach at Westlake Pro in Los Angeles, they decided to bring RedNet into the studio: one RedNet 4 8-channel remote-controllable microphone preamp; one RedNet 2 16 channel A/D – D/A unit; two RedNet 5 32-channel HD bridges for Pro Tools; and a 128-channel RedNet PCIe card. The workflow has the RedNet PCIe card out of the sequencer into the switch, and then split into the two RedNet 5 units, which act as ProTools interfaces, and then back out into the switch to a RedNet 2 for monitoring. The RedNet 4 is used for guitar tracking, DI and other input applications. First, Bornstein was pleasantly surprised by how easy it was to set RedNet up. Photo Caption 1: Andrew Papastephanou, the designer and operator of Sean Callery’s studio complex in Los Angeles. 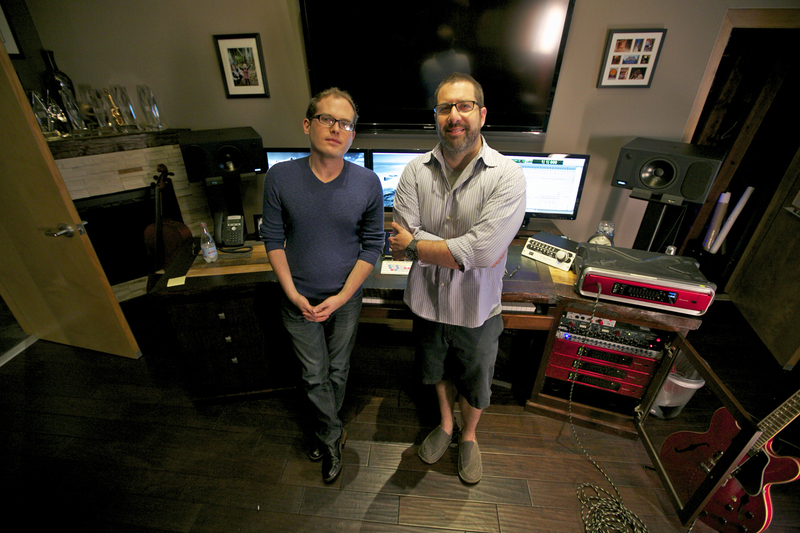 Photo Caption 2: Pictured L-R: Alexander Bornstein and Christopher Lennertz, pictured at Sonic Fuel Studios. 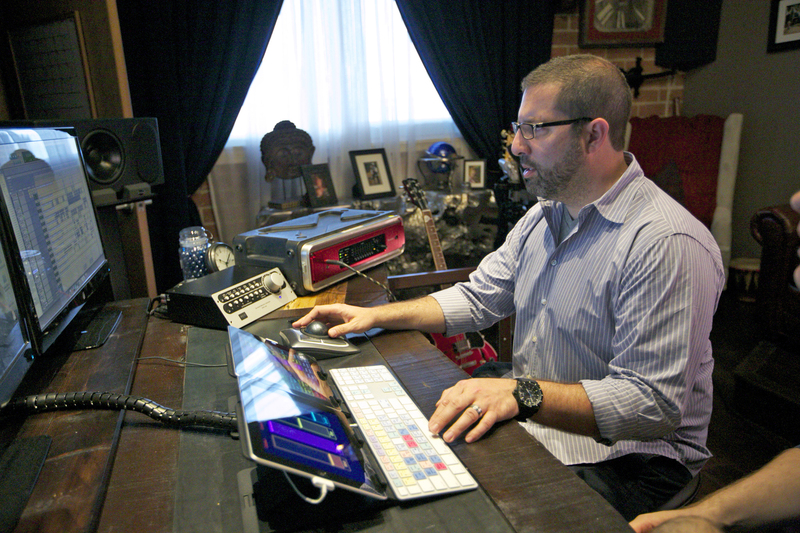 Photo Caption 3: Composer Christopher Lennertz, pictured at Sonic Fuel Studios.